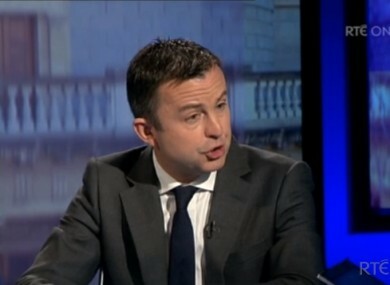 There will also be no income tax increases, according to Minister of State Brian Hayes. ALTHOUGH THE GOVERNMENT has more “wiggle room” this year than in Ireland’s five previous budgets, it seems unlikely that a tax cut is on the cards. Junior Minister Brian Hayes told RTÉ’s The Week in Politics that an adjustment of about €3.1 billion is still needed in Budget 2014, despite the €1 billion saved on the Anglo Irish Bank promissory note deal. He said the next financial assessment will be undertaken in September when the Finance Department will finalise the saving requirements. The response from Michael Noonan’s camp comes amid reports that coalition parties have different positions on possible tax changes. Hayes noted there were some “upfront costs” in the promissory note deal that had to be reflected in this year’s plans. It is the policy of this government not to raise income taxes, he said, adding that it would be difficult to see any “significant reductions in income tax”. I don’t see a huge scope for reductions. The so-called “wiggle room” from the prom note deal will come over the next 10 years, according to Hayes. The Budget for 2014 will be read in October under new European rules. Email “Tax cuts 'unlikely' in this year's budget”. Feedback on “Tax cuts 'unlikely' in this year's budget”.